VW and Suzuki’s alliance took place at the end of 2009 and VW took nearly 20% of Suzuki shares for nearly 2000 yen per share. Last Friday’s closing price for Suzuki was 1610 yen per share… that’s close to 20% loss. During the 2years of alliance, there has been no major progress… The least VW wants is capital gain when they let go of Suzuki shares, don’t you think? 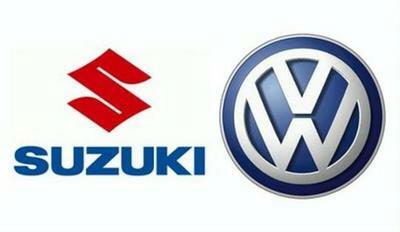 VW does not deny the possibilities of buying more stakes in Suzuki. But I have the feeling that VW is playing with words to increase the share price of Suzuki. Keep your eyes on Suzuki shares!